Iran officials said Sunday that the country had executed a nuclear scientist for treason, claiming he leaked information to the U.S. during a mysterious disappearance in 2009 that has left questions about his ultimate loyalties unanswered. In 2009 Shahram Amiri, who was born in 1977, said he was leaving the country for a religious pilgrimage to Mecca in Saudi Arabia. A year later, after conflicting videos about his whereabouts surfaced, Amiri walked into a Pakistani embassy in Washington, D.C., saying he had been abducted by U.S. officials who were putting him under “intense psychological pressure” and refusing to let him leave. Amiri was a researcher who Iranian officials said had worked on its nuclear program. While Amiri said he had been abducted, U.S. officials said instead that he had been offered $5 million to cooperate with the CIA, but was free to go home if he pleased, the Washington Post reported. 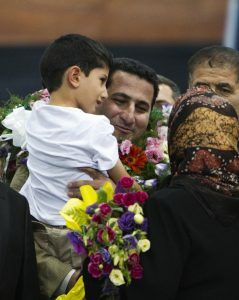 Upon his return to his hometown of Tehran in July 2010, Amiri was greeted as a double-agent hero by top government officials at the airport, the Post reported. But within a year, there were local, but unconfirmed reports about his arrest. Then his father confirmed he had been detained to BBC Persia in 2015, saying he was worried because he had not been able to speak to Amiri for more than a year. On Saturday, news of his execution emerged when his mother said they were given his body with rope marks on his neck. The government of Iran acknowledged Sunday for the first time that it had secretly tried Amiri for treason and sentenced him to death. 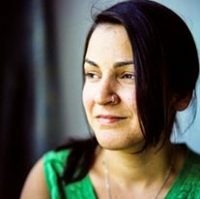 According to the Associated Press, Iranian judiciary spokesman Gholamhosein Mohseni Ejehi said Amari’s sentence had been upheld by an appeals court. Iran in January agreed with foreign powers to follow steps that would prevent it from acquiring a nuclear weapon in return for lifting crippling economic sanctions.